The quintessential city escape: seaside retreats, rolling hills, secluded lakes, beachy hangouts, sunset beers. Pack up and hit the highway with this list of weekend road trip destinations in the northeast United States. Are we there yet? Photo courtesy of Privet House. If you're in the mood for low-key antiquing and the beach. and restaurant are around the corner from what is, quite possibly, the sweetest, tiniest town. 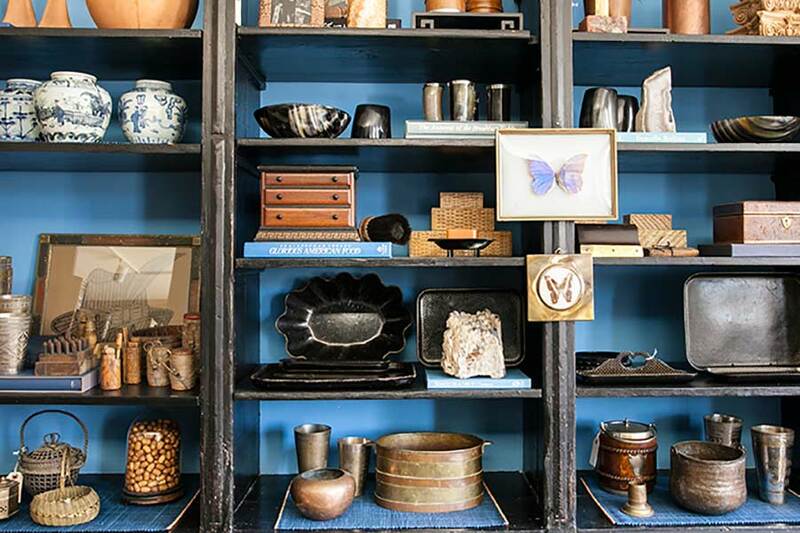 , Anthropologie's stunning offshoot (greenhouse, garden center, cafe), has a packed summer lineup of classes and events. Route to take: Straight shot on I-95, 90 minutes from Manhattan. Good to know: is adorable for lunch. If you're in the mood for fresh air and fancy shopping. Hit "The Ave" for boutiques like . Enjoy a leisurely lunch at local favorite , where specialties include French onion soup and freshly squeezed OJ. If you're still around for dinner, stroll down to for harborside dining and specialty cocktails named for the seven heavenly virtues. Route to take: One hour by car from New York City via I-95. Good to know: serves hand-blended teas and delicious scones with clotted cream. Their adjacent shop is the place to buy decorative pillows and scented candles. Stop off in Port Chester for a pizza margarita at Mario Batali's and freshly baked bread and cured meats from the . If you’re in the mood for a classic, picturesque New England town. Dine by the open hearth fire at the , pick up hot cross buns and Irish soda bread from , or take a picnic and hike the beautiful trails along the Shepaug River in . Route to take: A two-hour jaunt from NYC. Good to know: has been family-run since 1746. Go in the fall for apple picking, homemade pies, and old-fashioned farm fun. Photo courtesy of White Barn Inn. If you’re in the mood for coastal scenery at its finest. Bike the 45 miles of carriage roads, hike the diverse terrain, and watch the sunrise from atop Cadillac Mountain. Stay at charming and kitsch-free in Bar Harbor and get popovers fresh from the oven at before gorging yourself on lobster rolls and ice cream. 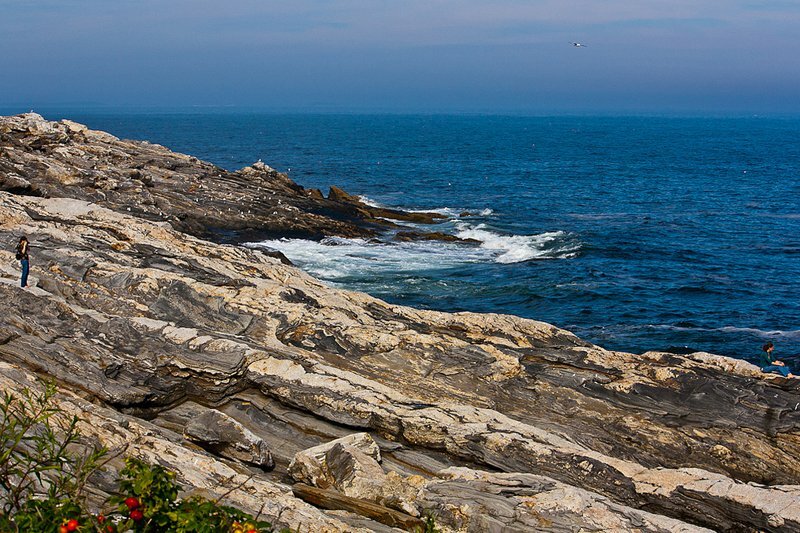 Route to take: Stop along the park’s 27-mile scenic route at Sand Beach, Thunder Hole, Jordan Pond, and Cadillac Mountain. Good to know: For late night bites and weekly karaoke, head to . If you're in the mood for farm-fresh food without the Boston or New York price tag. Make a reservation at and enjoy a creative menu that uses produce and animals raised on the property. Route to take: Route 1 affords beautiful coastal scenery, complete with waves crashing into rocky cliffsides and charming lighthouses. Good to know: The is also located in Rockland, giving you a good dose of culture along with a fantastic meal. If you're in the mood for by-the-book prep, nature adventures, and rural farm areas. Route to take: Skip around from Camden to Rockport to Kennebunkport to Norway. Good to know: Stay at the or ; stock up on ; let handle your paddling details. Photo courtesy of Inn at Perry Cabin. If you're in the mood for a nautical state of mind. Start by gazing at the sailboats from your bedroom window at . Get dirty with buckets of peel-and-eat shrimp poured onto tables covered in brown paper by day; clean up for the five-course dinner menu from a Per Se alum at . Route to take: Route 301 is a pleasant alternative to the NJ Turnpike and I-95. Good to know: The NYT has a list of finger-licking that's worth a gander. If you're in the mood for dance, theater, yoga, Shakespeare, and skinny dipping with mountain as the backdrop. Route to take: Saw Mill from NYC; Mohawk Trail into North Adams from Boston. Good to know: , , , and are all here. If you're in the mood for a new flavor profile on one the coast's most historic islands. Do for brunch, for dinner, and for a sunset beer. Shack up at or . Route to take: JetBlue flies to the island during summer months. Good to know: Take the pooch. There's a lot of outdoor living, dog-friendly hotels, and off-leash beaches. Photo courtesy of The Arnold. If you're in the mood for locavore eating, sustainable shopping, patronizing family businesses. Stay at , a two-bedroom charmer nestled in the woods of Sullivan County. Head to for cold beers and wood-fired pizza on the upstairs deck overlooking Kauneonga Lake. Pick up locally sourced pantry items from modern general store or the (on Saturdays during the summer). Rent an and take a ride along Skinner's Falls. Follow with a long and lazy dinner at . Route to take: Route 97 through Barryville has crazy winding roads, scenic overlooks along the Delaware River, and habitats for birds of prey (once a dirt road referred to as the Hawk's Nest). Good to know: Take a cue from owner Bronson Bigelow, who quit his corporate job to open the inn and make all the furniture in it. Or just of upcycled antiques, vintage industrial objects, and restored ice boxes. If you're in the mood for juxtaposing well-worn Victorian charm with big city comforts and a bit of edginess. Stay at , drink a perfectly pulled espresso at , check out the mini food truck emporium on Warren Street, have killer (local, sustainable, homemade) burger with the works at the retro-fitted '50s diner , and finish off with a nightcap and live show at . Route to take: Ride Amtrak right into town; zip up from NYC in a car on 87. Good to know: Check the schedule for happenings at the cathedral-like , an old glue factory that's been turned into a performing arts space. If you're in the mood for a healthy dose of counter-culturalism and hippie goodness. The , a LEED-certified 10-room inn meticulously renovated with heated stone slab floors, velvet drapes, and turn-of-the-century Bergere chairs. It's a ten-minute walk from your velvet-flocked suite to the iconic restaurant, which turned all-natural cooking and '70s-era co-operative business ideals into a full-fledge vegetarian kitchen collective. Obviously, pick up a . Morning coffees can and should be had at the original (now a Brooklyn mainstay). Besides and architectural tours of nearby Cornell campus (I.M. Pei! Koolhaus! Richard Meier! ), you're spitting distance from the . Route to take: Make it scenic and curve up the Catskill Mountains. Make a sweet rest stop for a few scoops of ice cream made from . If you're in the mood for a monastic environment. Book a weekend at , a Japanese Buddhist sanctuary where you can workshop the basics of being — like breathing and being quiet. Route to take: The Palisades (from NYC) are soothing and scenic. Good to know: No prior Zen practice necessary. And if you want your alone time with somebody, you can rent a small cottage on the premises. If you're in the mood for an easy, breezy beach weekend. has a retro camp vibe, but the best way to hang is by you can call home. Route to take: Drive very early in the morning or very late at night on 495 to Sunrise Highway to the very end of Montauk Highway (avoid traffic by using GPS to navigate back roads). Good to know: BYOB seafood shack and are musts. If you're in the mood for large plots of farmland, farmstands, U-picks, and wineries. Book at slow-food hang . Route to take: Tiny town centers dot the Main Road (Route 25) and Sound Avenue (Route 48). Good to know: The is open every Saturday from dusk to midnight for stargazing. While in the area: see our North Fork hit list. If you're in the mood for agritourism with a Dutch design bent. 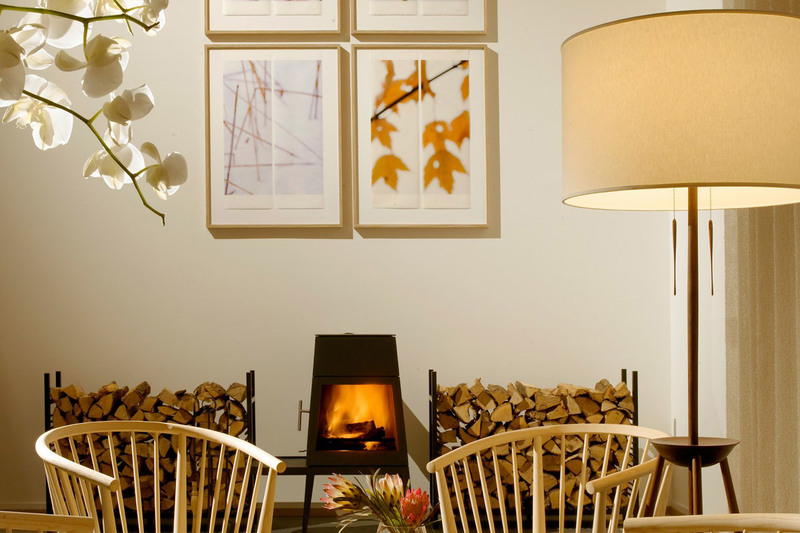 Try in Walton, where fancy tents with wood-burning stoves are nestled on a working farm. Nightly harvests become dinner. Route to take: Take 87 and stop in for a tour of , the distillery where Hudson Baby Bourbon is made. Good to know: The culinary cognoscenti of NYC get their prime cuts from ; you can pick up breakfast sausages at their full-service butcher shop. If you're in the mood for hiking, biking, foraging, and dozing off in the sun. , an adorably Instagrammable 10-room inn (Sferra linens, Pendelton blankets, cork floors), is the perfect setting for your country retreat. Being the proper hosts that they are, the Foster family proprietors offer plenty of fun activities (ice fishing in the winter, ramp foraging in the spring, ravioli making at nearby ). Route to take: Wind through the Palisades and continue northwest from NYC. Good to know: If you didn't bring your own pooch (the hotel provides dog beds, water bowls, housemade treats), spend some time cuddling with Adelaide, the English Bulldog. If you're in the mood for the simple Catskill pleasures. Star at the , a Catskills "bed & bar" with mountain views. Get your pancakes stacked at . Work off the carbs with a picturesque hike to , a serious hike up , or, come winter, some ski tubing on . Dine on savory pies at . Ride on quiet trails. Or, back at the inn, just play some bocce and make some snacks in your own kitchenette or on the grill. Route to take: Hit the Palisades and roll through Woodstock. No wheels? Coordinate a pick-up with your guest house after catching the Trailways bus from Port Authority. Good to know: Leave plenty of time to get home so that you can stop for antiques and farmstand souvenirs: raw milk and gouda from ; old thingamabobs from ; farmy furniture at ; honey and grass-fed meats from . If you’re in the mood for adult summer camp in the Adirondacks. 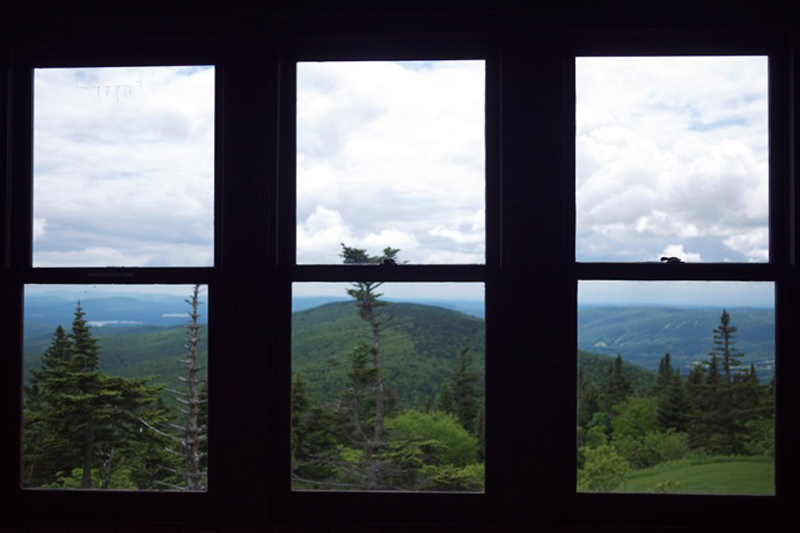 Check out Wild Walk, the “High Line of the Forest,” a museum experience suspended in the treetops of Tupper Lake. Canoe or kayak down the Raquette River, and end the day with a good meal and a better cocktail at . Route to take: Hit the Taconic Parkway from New York City. Good to know: Stay at for a well-appointed resort experience, or camp near , , or for a real back-to-nature experience. Photo courtesy of The Ocean House. If you're in the mood for a gorgeous beach escape with excellent cuisine to match. The recently revamped where sail boats, fishing gear, and a discreet, black-bottomed pool are all at your disposal. A meal of locally caught lobster, Matunuck oysters, and native beets is as memorable as the sunsets overlooking bucolic Quonochontaug Pond. Route to take: Head south on the I-95. On the way back to civilization, stock up on freshly baked chocolate chunk and molasses cookies at gourmet emporium . Good to know: Killer Swedish massages at Relais & Chateaux sister property are a Zen bonus. 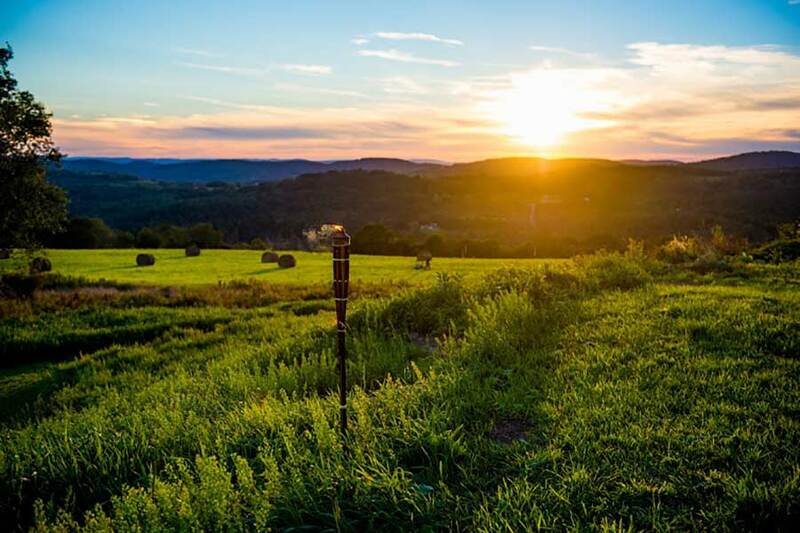 Photo courtesy of Woodstock Inn. If you're in the mood for quintessential Americana combined with a new, LEED-certified spa. 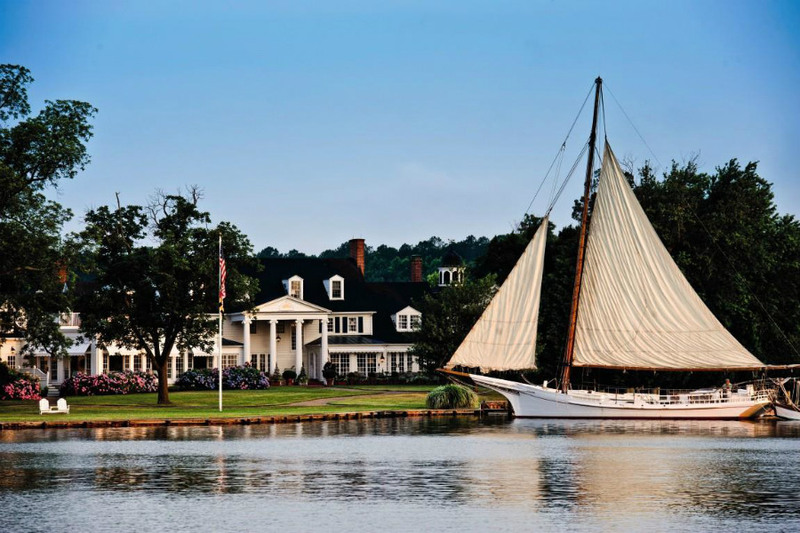 Book the grand in New England's most picture-postcard-perfect town. 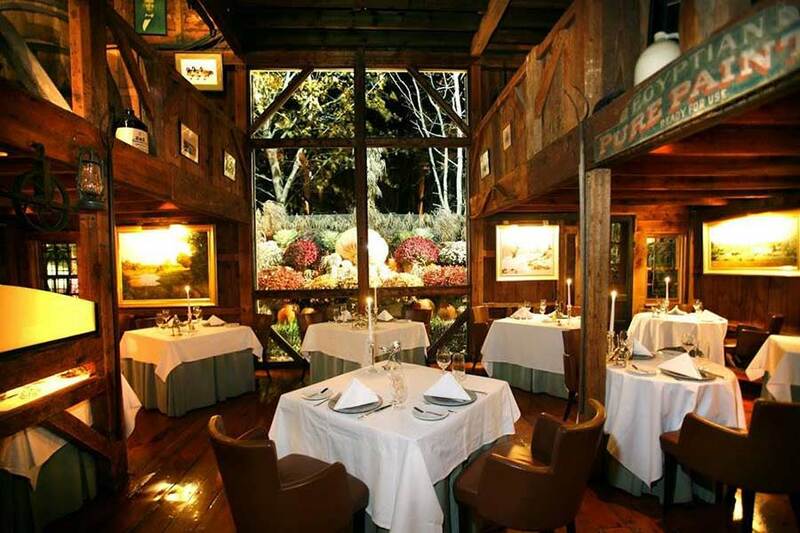 They have a serene spa and delicious farm-to-table cuisine in its casual restaurant. Head across the quaint village green outside your front door and make stops at the old-school and before a lovely dinner-a-deux at , a town institution. Route to take: The Taconic Parkway from NYC. It might be a slightly longer route, but the scenery — and a stop at the old-school Millbrook Diner (3266 Franklin Ave.; +1-845-677-5319) — makes it worth it. Good to know: Do not skip town without a stop for black raspberry ice cream cones at the . Open only in summer, this low-key spot is worth a serious, deep-fried detour. If you’re in the mood for getting back in touch with nature and ending the day with a fantastic craft beer. Stay at eco-friendly and dine next door at Chef Eric Warnstedt’s revered restaurant . Do some boutique shopping on Church Street, or head down the hill to Lake Champlain for lakeside activites in the summer and winter. Route to take: On your way into the city, stop at , a nonprofit farm focused on sustainability education, for tours of their historic barns, tons of scenic walking trails, and classic Vermont foodstuffs from the farm store. Good to know: may not allow laptops, but they have the best bread downtown. 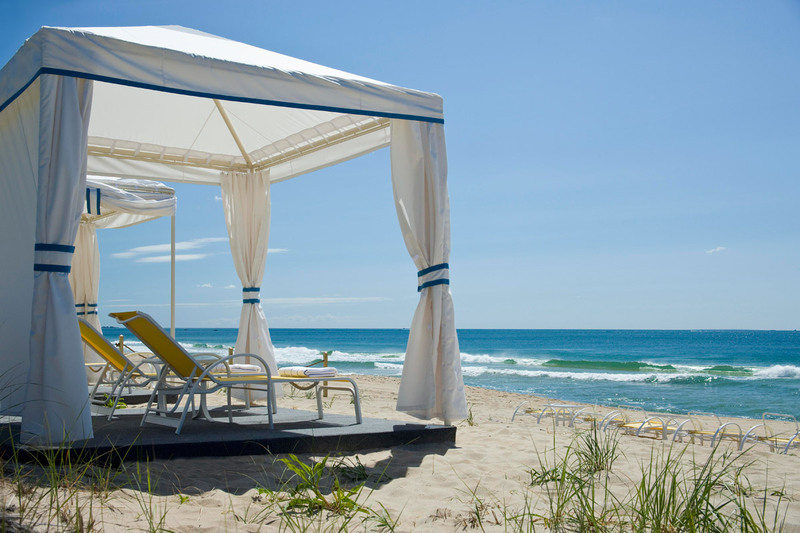 Have you seen our list of the Most Romantic Hotels in The Northeast? Special thanks to contributors Devorah Klein Lev-Tov, Christina Ohly, and Ilaria Urbinati.